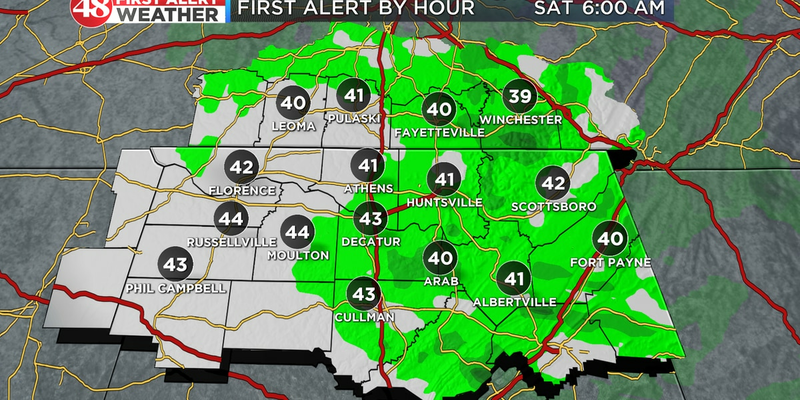 (WAFF) - We are declaring a First Alert Weather Day Thursday. 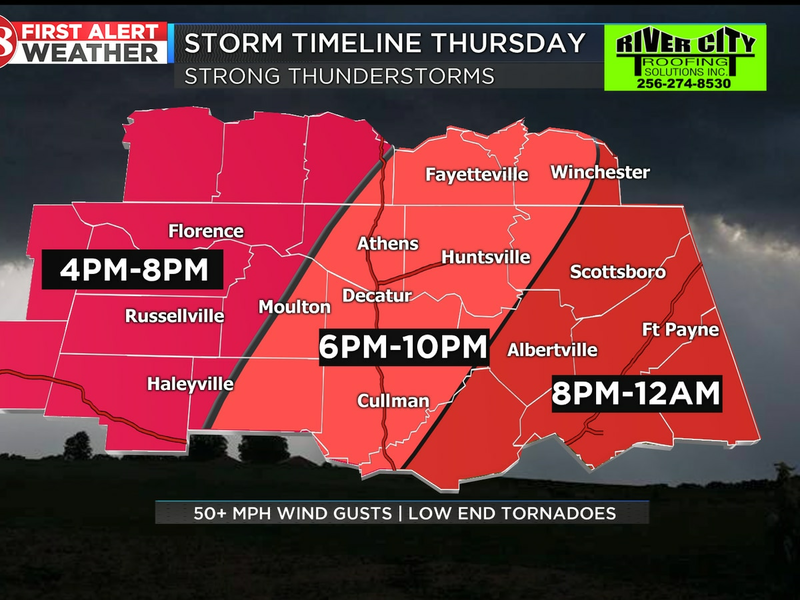 Evening forecast guidance is showing indications that a significant squall line could race across north Alabama Thursday evening between 7-11 p.m. Winds of 35-45 mph will become common as this line moves from west to east at 50-60 mph. Isolated wind gusts could exceed 60 mph. Along with high winds there will also be the potential for low end tornadoes with winds 60-80 mph. If these types of tornadoes form, it is most likely they will not remain on the ground very long. 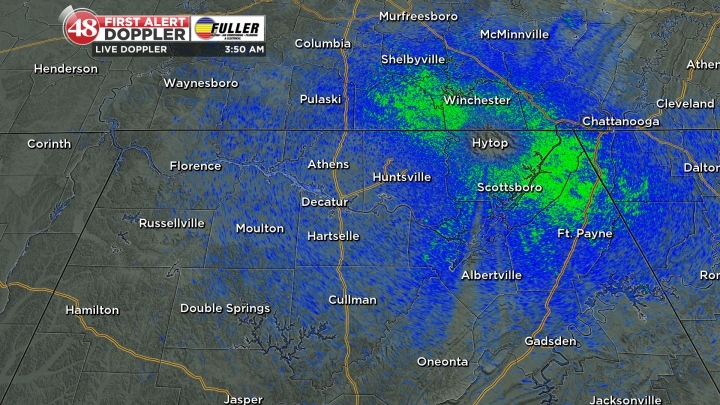 Although the air might not be as unstable as we have seen in the past, there will be very strong dynamics in place overhead as a new area of low pressure begins to strengthen across north Alabama. 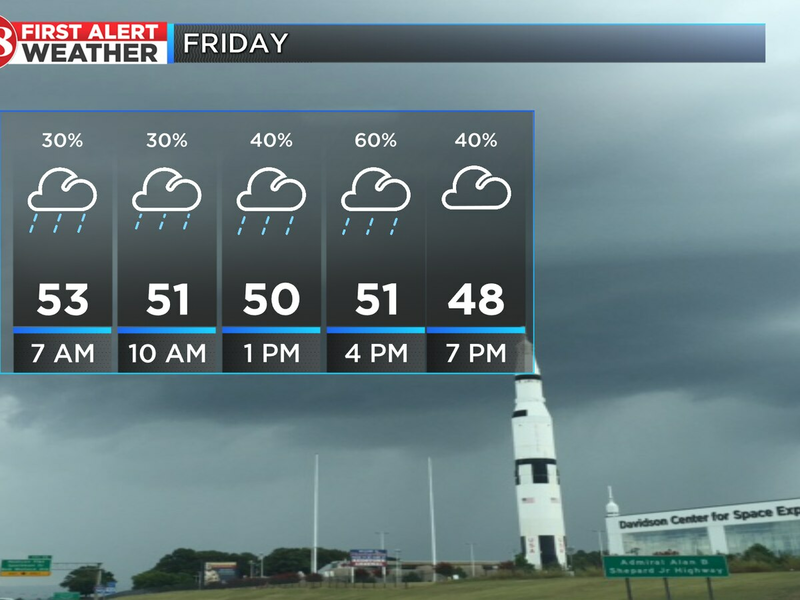 The threat will be gone by midnight but rain and gusty winds could remain into the early morning hours on Friday. Friday will be much cooler with highs in the lower to middle 50s. Scattered light showers are possible through sunrise Saturday. Morning lows Saturday and Sunday will be in the lower to middle 40s. Sunshine returns by Saturday afternoon with highs in the lower to middle 60s.